Vulnerability: There is fear in vulnerability, but you will never know how to love truly unless you become that. When you open up, you let go of all the pain that is not serving you. When you let go, the fear you have of rejection diminishes. And when it diminishes, you cannot be effected by the rejector, because you will have learned to love yourself in the process. Practice giving what you desire to feel of yourself in return. Is it hard? YES. My body shakes, my mind races and I want to vomit- so I accept the bruises that cause pain in me. I love them, because I learn from them. Let go of the winter days longing for a love that later left you. Let go of the hours of love and dedication you gave freely to a man who wasn’t strong enough. Let go of the relationships you lost and gave your time to, they were lost because they weren’t meant for you. 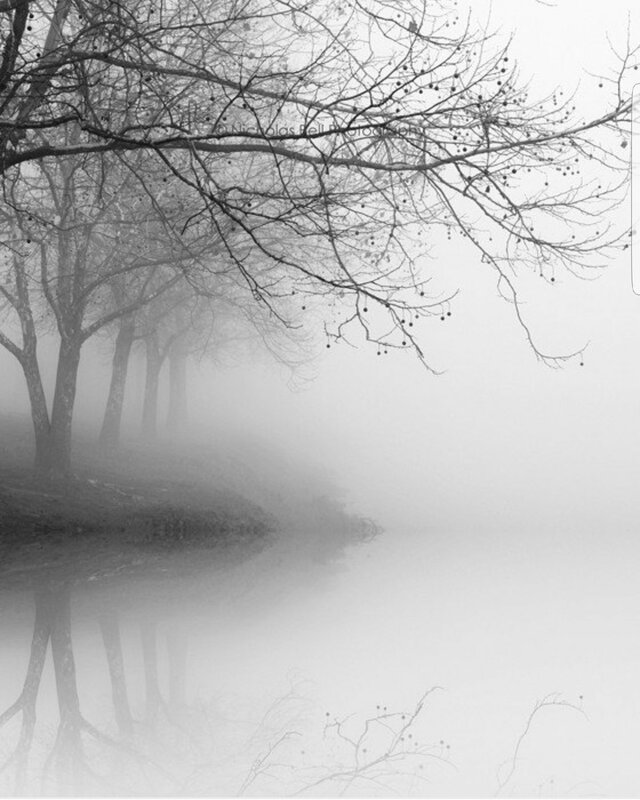 Let go of all those you gave your heart to on days like this, with the thick fog in the sky and the branches bare on the beautifully naked trees. Let go of the countless hours wondering where he was and if you were even good enough for him. Let go of the names you picked for your eldest daughter that cloudy day walking down the sidewalk at the complex where you stayed, sidewalk jagged, broken, stubbing your toes, hiding your smile. Let go of competing for his attention and everyone’s attention in general- countless hours, countless years. Let go of covering up his hurt with illusionary love he felt for you. Let go of chasing him that was the wind. Let go of failing a relationship – because it wasn’t meant to last your whole life time, but to teach you about your relationship with yourself. It was meant to heal your wounds, to show you your pain, to kiss your lack and show you, you were and are always whole. It was meant to guide you to see your true worth. Let go of the many walks down the beach where you felt you weren’t good enough, and damn It, let go of hiding your beautiful smile. Look at your talented hands and see they were made for a reason. You are. And your existence is beautiful. Let go of the expectations that hold nothing over you. You have no idea of what is to come. Be where your heart finds it is meant to be. Do what is in your heart for you to do. Let the pedals of your intricate flower bloom into view. Let love guide you, and let love be your driving force for everything.